A built-in spa area joins this freeform pool to create an outdoor space for true indulgence and relaxation. 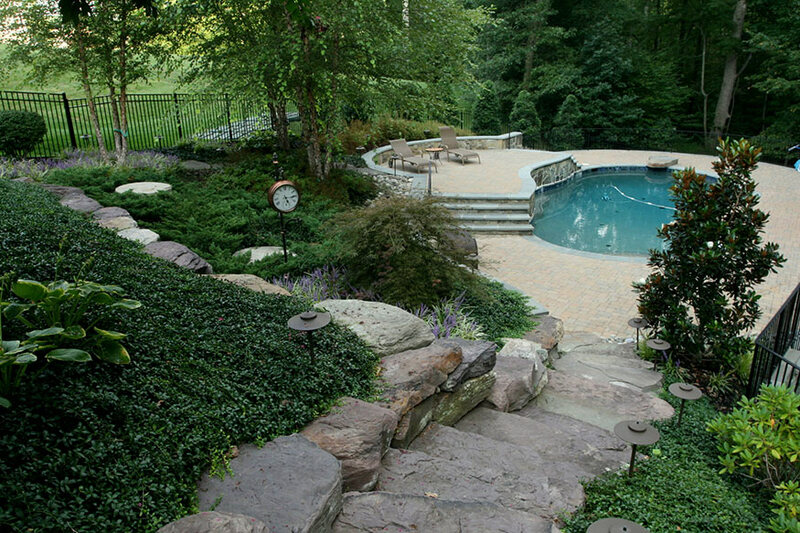 The paver pool deck is surrounded by boulder walls and steps. 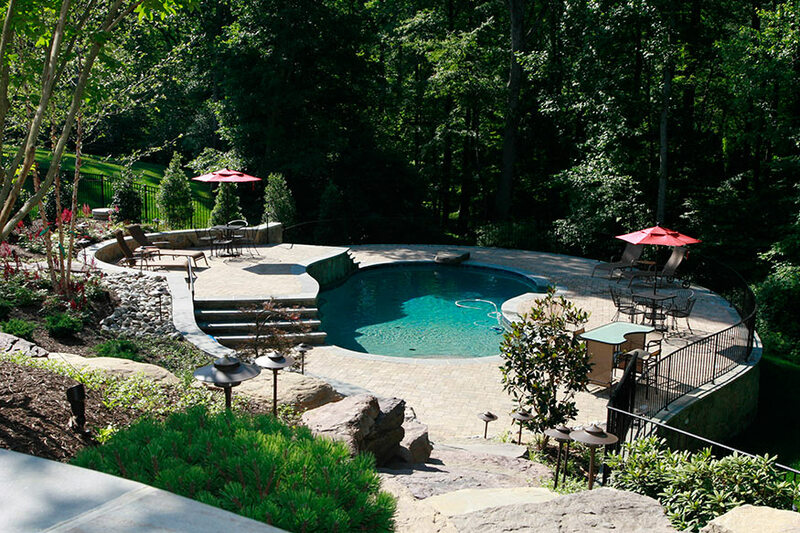 The freeform pool at this Oakton, VA home is surrounded by Pennsylvania flagstone coping and a paver pool deck. Ample seating is provided by lounge chairs and seating walls, as well as a small poolside bar. 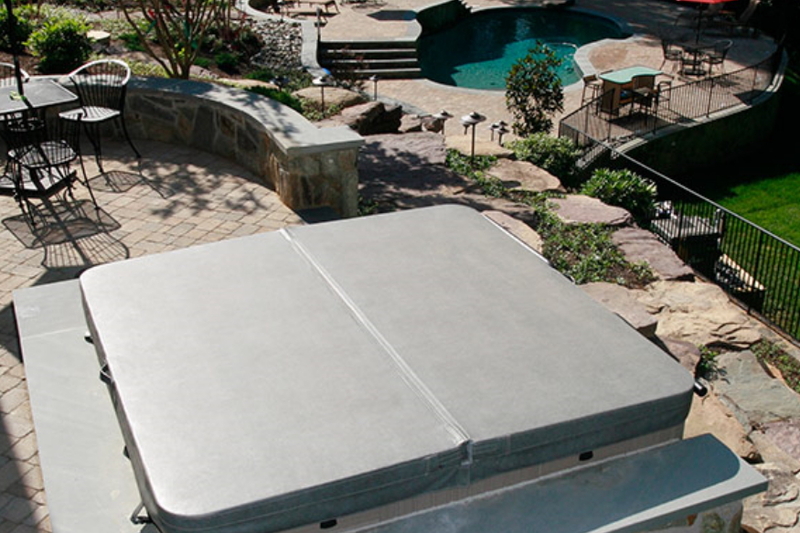 A massive flat boulder acts as the pool’s “diving board.” For serious relaxation, we installed a built-in spa with a lockable cover just up from the pool area. The spa can be accessed from a mid-level patio or the boulder steps just beside it. Boulder-stepped pathways make their way up and down the vertical greenery, leading visitors to different zones in this luxuriant landscape and ultimately down to the pool area. 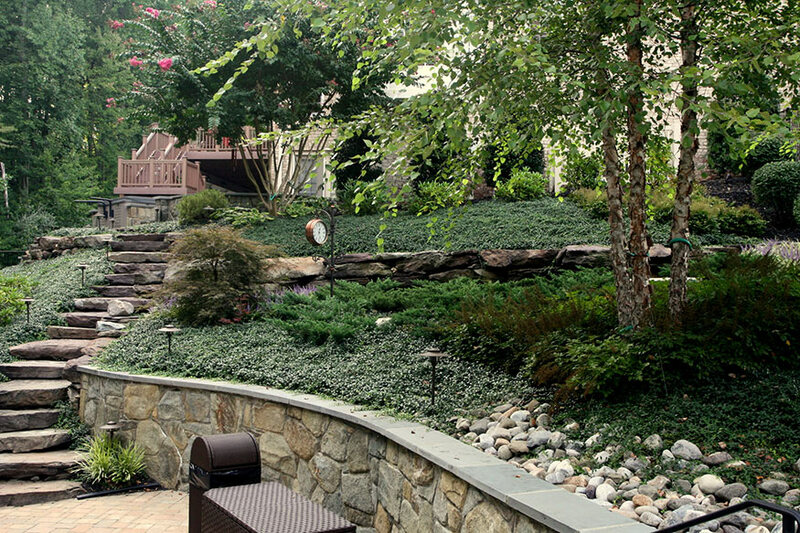 Boulder walls separate planting beds of varying heights. 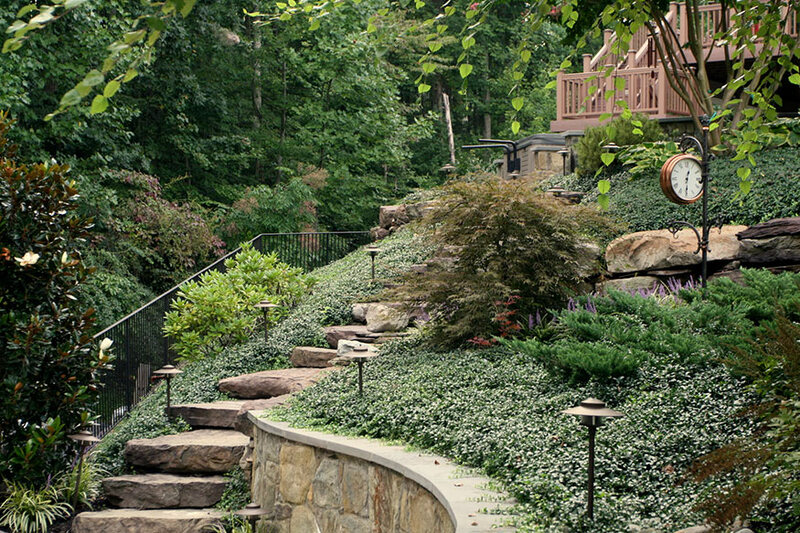 Custom landscape lighting follows the paths, making the serene scene accessible after dark. 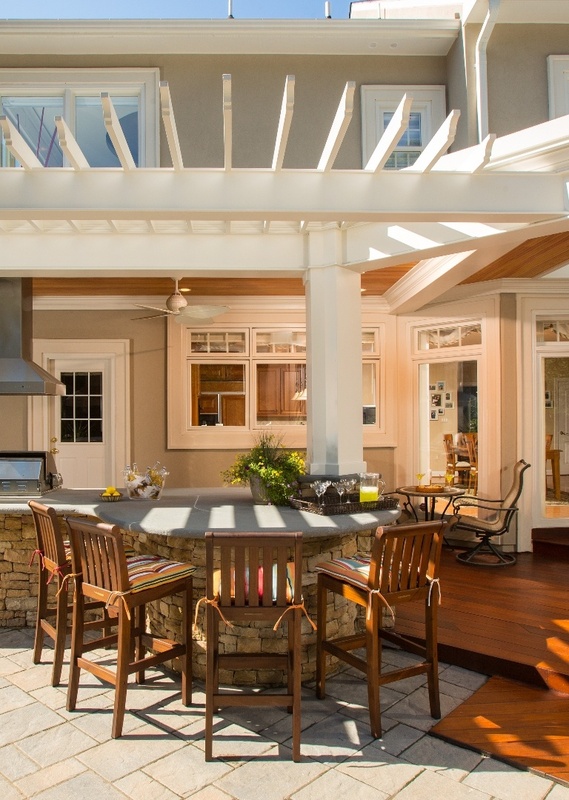 With custom exterior design and remodeling from Berriz Design, we’ll give the outside of your home an entirely new feel. 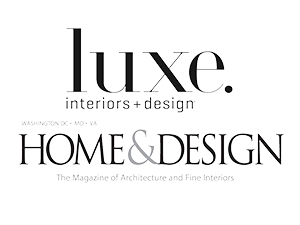 Work with our experts to select the perfect fit for your bathroom, kitchen, home theater or a custom wine cellar. At Berriz Design, we aim to improve your quality of living in your home. 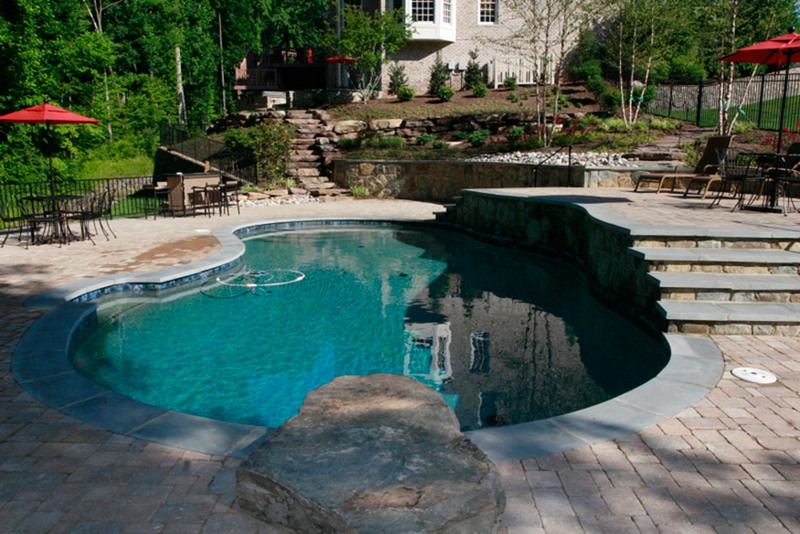 We also complete exterior remodeling, including fountains and waterfalls, in-ground pools, outdoor kitchens, and more! 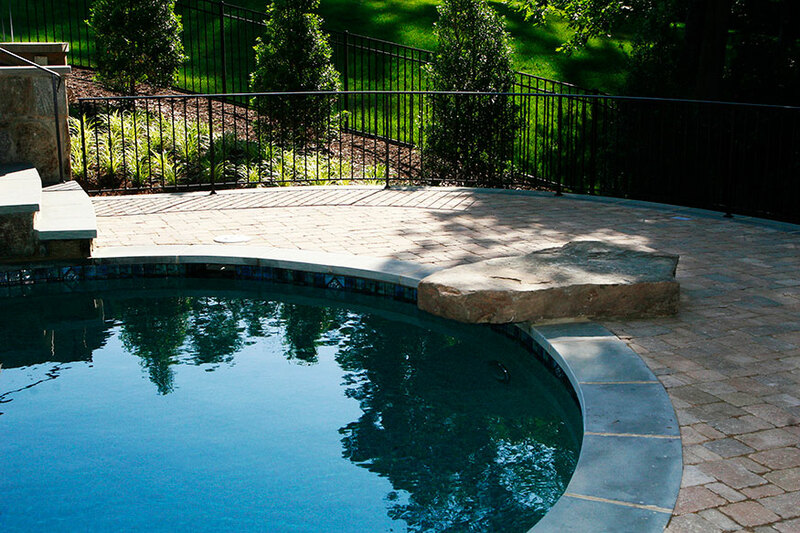 If you are looking for a In Ground Pool Installation in Oakton, VA then please call 703-552-7565 or complete our online request form.